1. 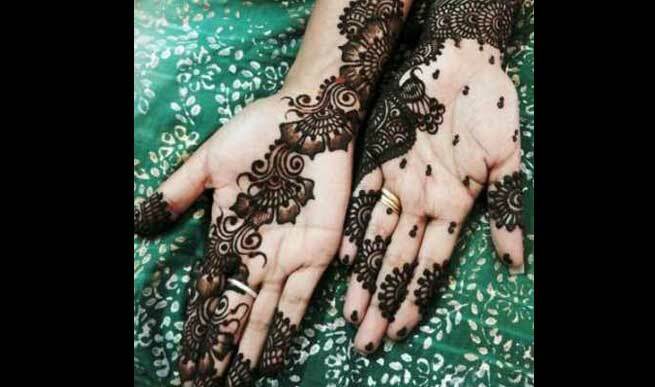 Arabic Henna patterns are as lovely as Indian and Pakistani henna arts. Check the design which looks wonderful with flowery patterns and sparkles on it. 2. This pretty design has a little Rajsthani tone but its motifs are pure Arabic. 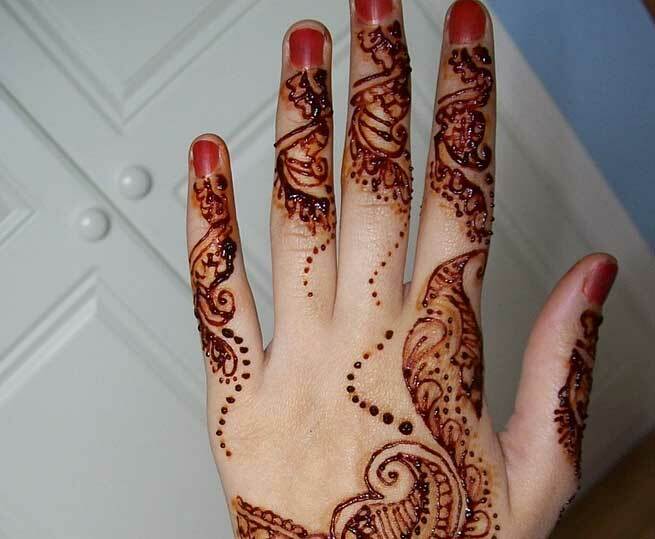 One of the prefect henna patterns for background! 3. Bringing alive the most beautiful vines of nature, this henna pattern is one of the finest examples of Arabic brilliance in mehendi designing. Although, ‘lata’ or ‘vine’ is common in Indian pattern too but in Arabic Pattern it becomes the life and soul of a design. 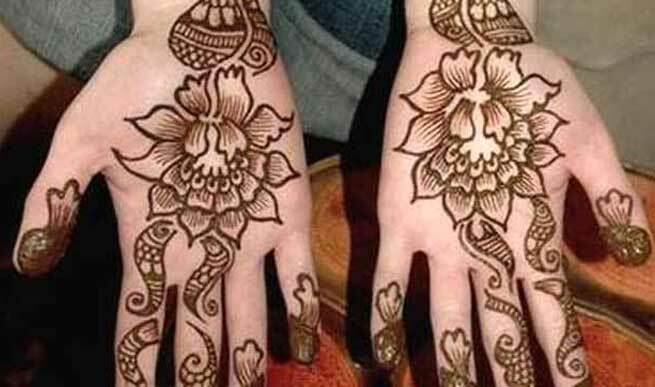 Also Read – How to Remove Mehndi Safely at Home? 4. Delicate vines always look pretty when it is painted on a pretty woman’s hand. Want to make your wedding day full of sublime beauties, go for this bridal Arabic pattern. 5. This design is for the rebel inside you who always craves for distinctive designs. Leave every other part of your hand and let your forearm gleam with this pretty floral design. 6. 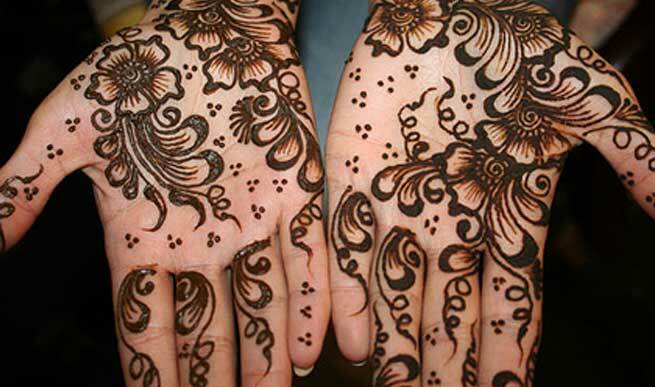 Arabic mehendi designing has a pattern for your shoulder too. 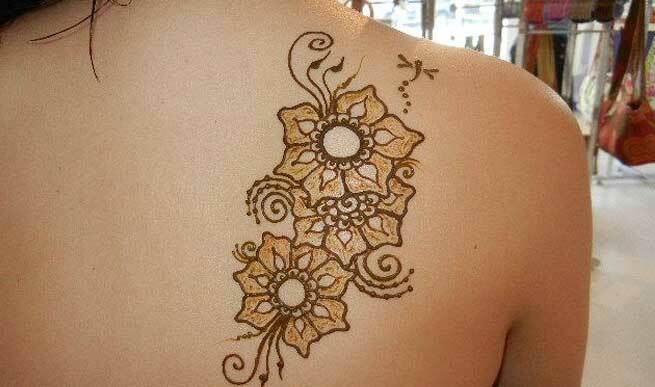 Keep those fine needles of tattoo away and decorate your shoulder with fine Mediterranean henna prints. 7. A few vines aesthetically including the most gorgeous flowers of the world! 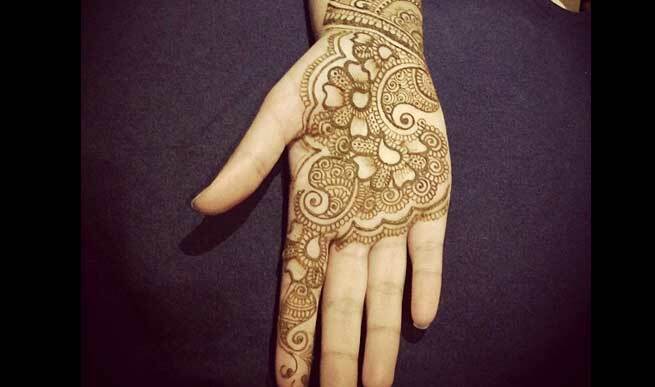 This henna pattern whispers about a woman’s beauty in simplicity. 8. Inspired by those wonderful pyramids of Egypt, this henna pattern is a great inclusion of Arabic patterns along with lovely vines. 9. 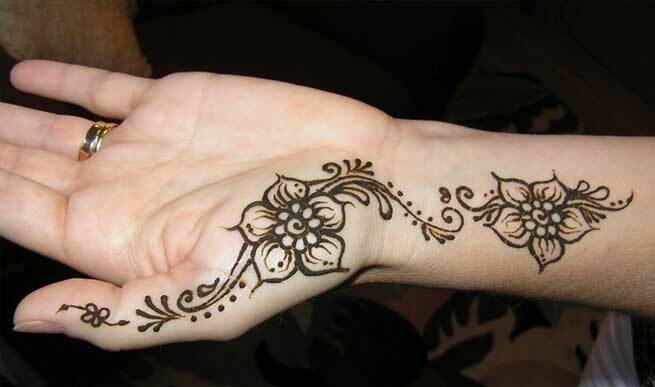 Crisscross, vines and flowers… A pretty henna pattern that substitute the common single strand Arabic henna. 10. Some floral vines for a traditional occasion. 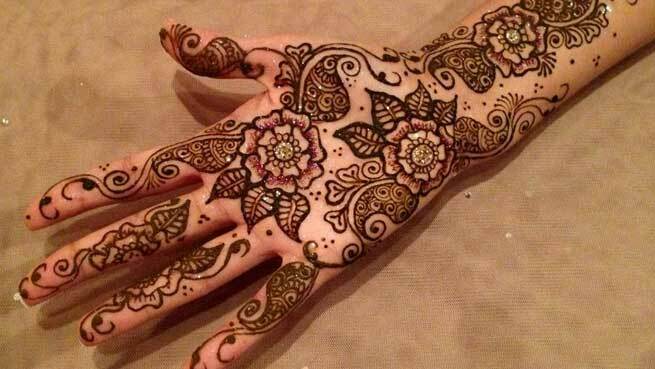 This Arabic pattern is apt to be applied in any festival and other celebrations. 11. 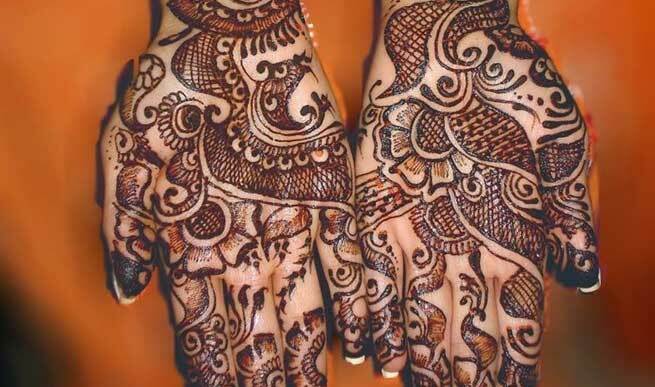 This striking mehendi pattern is artistically made with including almost every wonderful elements of henna art. 12. 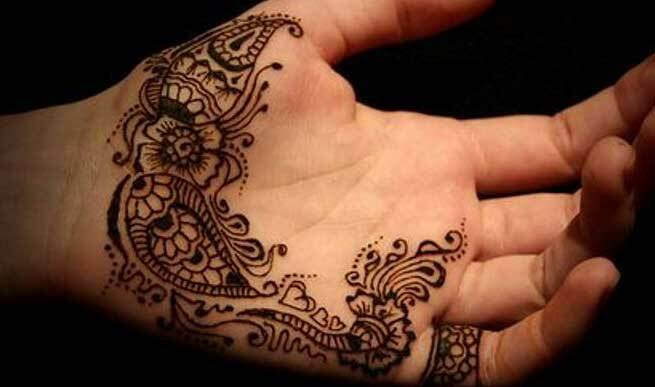 Half circles and dots too hold important place in henna art. 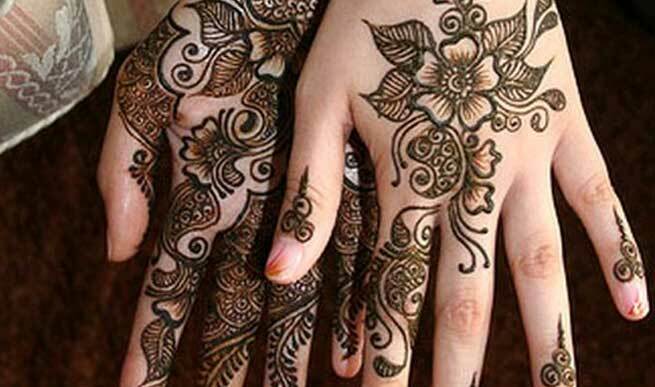 This vine-less pattern is example of variance in mehendi designing of middle-east. 13. 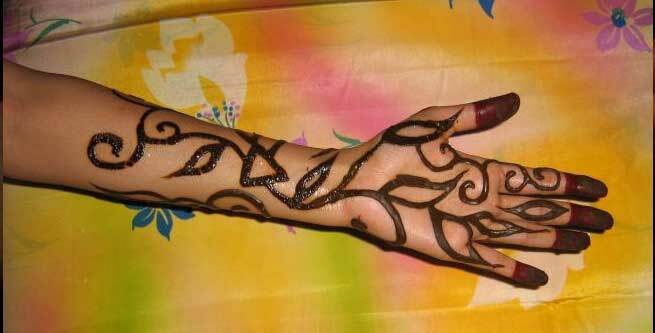 Arabic henna art is easy to make but that doesn’t negotiate with its beauty. 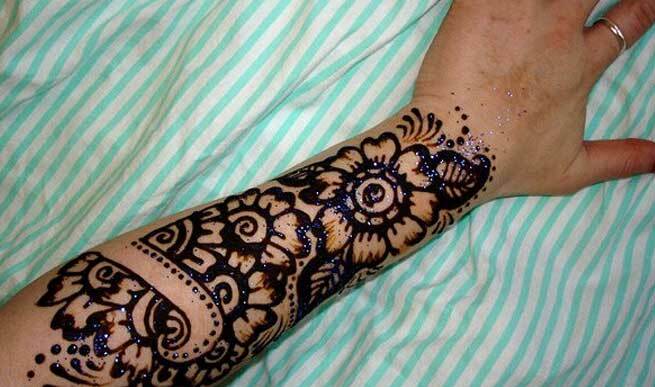 This henna pattern includes simple vines and flowers but looks pretty in its simple avatar. 14. 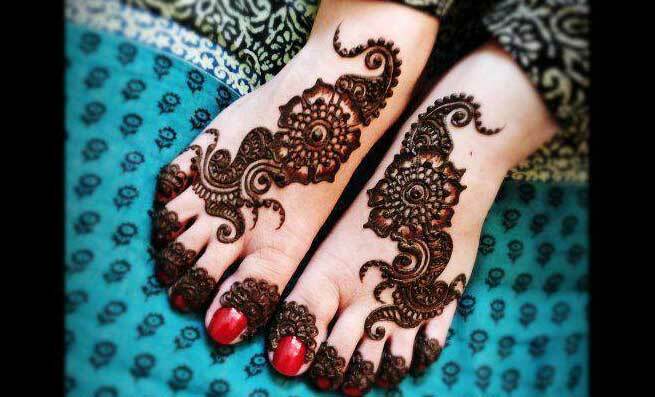 Full of striking shades, this henna pattern can make anyone’s feet look beautiful. If you are not a bride, this Arabic design is apt for you on every occasion. 15. 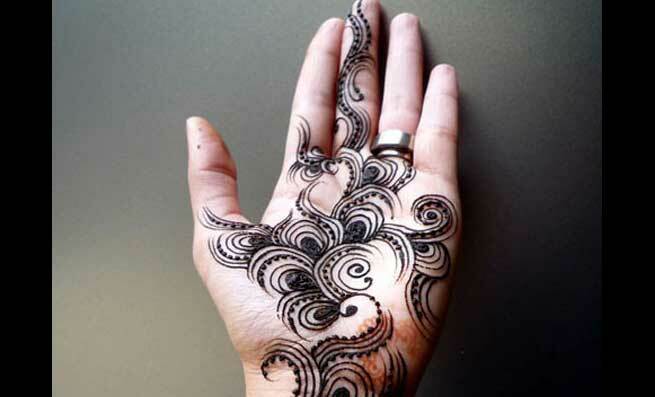 This dotted black henna pattern looks very pretty in its shades. Vines and geometrical patterns make the design lovely. 16. Get some of the best flowers of nature and put in on your palm. What do you have to say about it? 17. 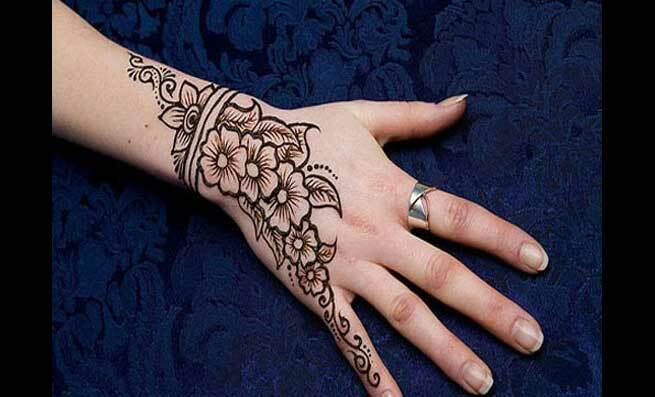 If you adore those thick lines of henna, how about this mehendi design. Made in Mediterranean style, this design is a simple floral creeper which is spread on your palm, fingers and forearm. 19. 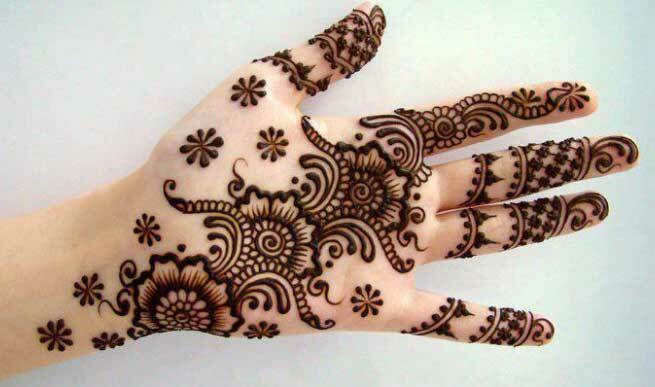 Made of half circles and dots, this henna pattern decorates hand in typical Arabic style.